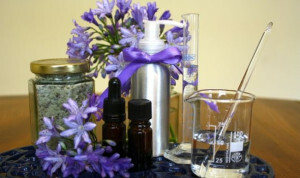 Further explore the art and craft of blending essential oils and designing synergies! Enhance your ability to create effective, balanced, holistic, dynamic, and pleasant smelling therapeutic blends! In the best aromatherapy blends it is hard to pick out the individual oils as they merge together so well. This online aromatherapy class will explore 5+ blending theories in detail and each student will create a therapeutic/clinical blend using each theory. We will focus on creating blends for sleep, stress, mood, pain, chronic health conditions, and unique client situations. We will work on ‘listening’ through our noses to discern fragrance characteristics and principle aromatic qualities. This is also an opportunity for students to present client cases for assistance with designing effective aromatherapy and natural health treatment plans. Students will also be introduced to perfumery and cologne basics and the fragrance wheel and will have an opportunity to practice creating a natural perfume. Module includes a 5 hour downloadable recorded class taught by Dr. Christina, a detailed manual, a detailed perfumes workbook, and additional written materials and hands-on exercises. Tuition: $99. Pre-requisite: An Aroma 101 education. Please purchase class at bottom of page. REGISTRATION: Purchase the class using the Paypal cart below. Within 48 hours, Christina will email you the recordings, workbook, and additional materials. Contact Christina with any questions or comments: 608.393.7353 or mindsoulandself@yahoo.com.